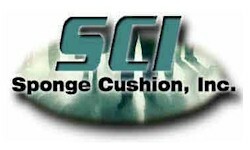 Rubber Cushion: A wide variety of pure 100% synthetic rubber cushion, with Styrene Butadiene Rubber (SBR). Features include: Block-Out® Moisture Shield, BHT-Free, and Industry Certified for better indoor air quality. Tred-MOR®: A Premium commercial carpet cushion. Tred-MOR® is synonymous with Dubl-Stik®. It is the benchmark by which all others are measured. Tred-MOR® can also be used in conventional stretch in installation. Hospitality Series: Commercial carpet cushion designed and used in high traffic area's such as hospitals, medical facilities, schools, restaurants, hotels and casinos throughout the world. Lifestyle: Collection of a high density rubber cushion designed for residential homes. Silent Walk: A new superior noise suppression cushion for laminate flooring.